from the BBC programme Front Row, September 2, 2010. ^ Sharf, Zack. "'Shawshank' Secrets Revealed: Frank Darabont, Tim Robbins and Morgan Freeman Reveal All at 20th Anniversary Screening | IndieWire". www.indiewire.com. Retrieved September 7, 2017. ^ "The International Jury 2013". Berlinale. January 28, 2013. Retrieved January 28, 2013. 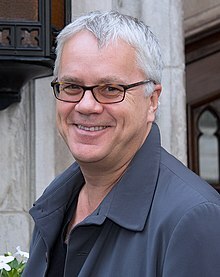 Wikimedia Commons has media related to Tim Robbins.